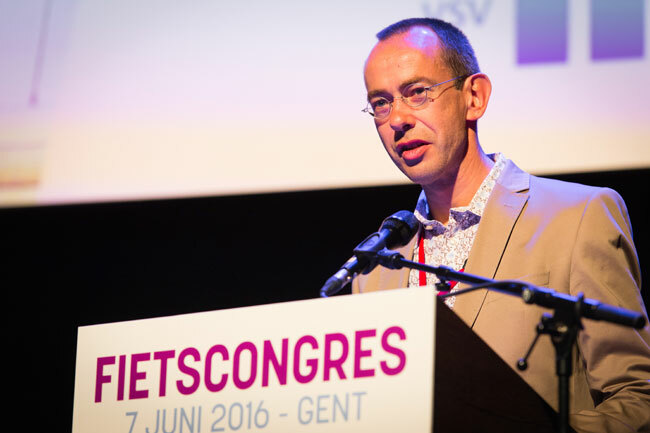 Eddy Klynen is the general manager of the FFT, with responsibility for the walking and cycling permits in the Flemish Region. Eddy holds an advanced master’s degree in traffic knowledge and a master’s degree in law. He has been general manager of FFT since 1998 and is responsible for 32 employees. The FFT won the first prize ‘local actions European road safety award Foundation Norauto 2007’ and the second prize ‘national actions European road safety award Foundation Norauto 2006’. Eddy is also a lecturer in road safety in Asian and Latin American countries at Hasselt University in Belgium, and a lecturer in road safety at HITEK. In Flanders, traffic education starts in the kindergarten. For this, the VSV has developed a learning path to ensure that pupils learn in a step-by-step manner how to behave safely and independently in traffic as pedestrians and cyclists. As soon as young people start to participate in motorised traffic, the risks increase. With the ‘Traffic Weeks’ project, the VSV offers secondary schools a series of ready-made workshops per age group. From age 17 years onwards, the focus is on novice car drivers with workshops on driving under the influence of alcohol and drugs, road risks due to speeding and fatigue, seat belt use (demonstrated with a tumbling car) and the new driving test. The choice for these themes is based on the changing conditions for this age group: physical growth is gradually approaching completion, but psychologically and on a social and emotional level young people are still in full development. At this stage they grow towards their own identity, independence and maturity, and possible characteristics include being opposed to authority and exploring their own borders and possibilities. The Flemish government has the ambition to lower the number of road fatalities in Flanders to maximum 200 by 2020. The spearhead for this is the driver training reform that was gradually introduced in 2017. The aim is to raise the bar for apprentice drivers by requiring more knowledge and skills. In addition, the system of accompanied driving is maintained and better support is provided for this. Through this reform, we want new car drivers to be better prepared for traffic.